Two of Jacob Zuma’s nephews were Atha-Africa Ventures’s BEE partners when a licence for an underground coal mine was originally granted. Indian-owned mining company Atha-Africa Ventures may not appeal against a high court ruling overturning governmental permission for a massive new coal mine in the protected Mabola environment outside Wakkerstroom in Mpumalanga. Judge Norman Davis in November last year delivered a damning judgment in the High Court in Pretoria in which he severely criticised former Mineral Resources Minister Mosebenzi Zwane and the late Environment Minister Edna Molewa for not being transparent and for denying concerned parties a say when they granted permission for Atha to open an underground coal mine in the protected wetlands area. He had referred Atha’s application back to the ministers for reconsideration on condition they complied with the Promotion of Administrative Justice Act (Paja) and took into account the interests of local communities and relevant environmental principles. He ordered any decisions had to be deferred until the conclusion of statutory appeals against the approval of Atha’s environment management programme, the issuing of a water licence and a management plan was finalised. A punitive costs order was granted against the ministers and Mpumalanga’s environment member of the executive council. The judge yesterday refused Atha-Africa leave to appeal and ordered it to pay the legal costs of the coalition of civil society organisations which successfully opposed the application. In his ruling last year, the judge lashed the ministers for seemingly following a “tick-box” approach by granting a license because Atha had approvals from other departments. They ignored a report about the impact of mining on the wetlands, relied on documents they never saw and did not consider the impact of their decision on the environment. He said a higher level of scrutiny and transparency was required because two of former president Jacob Zuma’s nephews were Atha’s BEE partners. 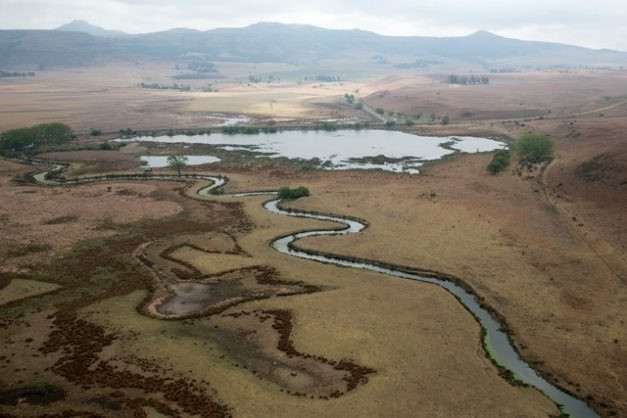 The Mabola Protected Environment consists of wetlands, pans and endangered grassland ecosystems, is the source of the Tugela, Vaal and Pongola rivers and has been identified as one of South Africa’s 21 strategic water source areas.